I'm not a beauty blogger, not even someone who wears make up everyday. But I just feel I want to share this to you. As what I said before, I don't wear make up everyday. I only use moisturizer and loose powder to work, with a lip balm. That's it. I don't really care of hiding my zombie under-eyes dark circle. But lately, I found make up is a fun thing because of watching Michelle Phan's YouTube channel. Michelle really shows how to play with your make up stuffs. So on Saturday and Sunday, I put on my make up (slightly....) when I went out to the mall. 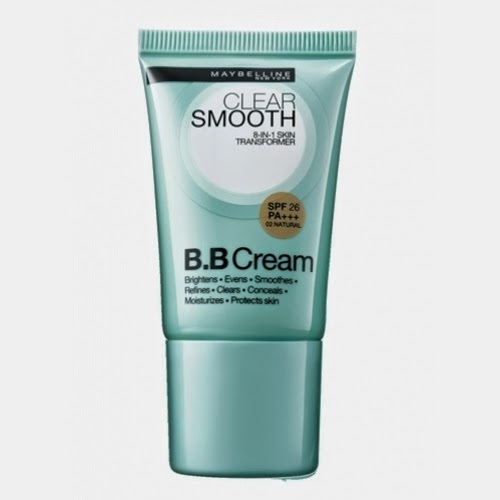 I use my Maybelline Clear Smooth BB Cream as the base. I actually bought it 6 months ago, because I needed to bit a little touched up for an occasion. But after that, I never used it again. At that time, I wanted to buy something simple for my face. I don't really like full make up. Just a natural look. Then Maybelline's beauty adviser gave me the BB Cream with the color "Natural". The color doesn't seem to fit my yellow undertone skin. When I apply it, it goes with a bit grey and weird. I shocked to see how pale my skin was when the first time I applied it. After 2 hours, it dissolves and left nothing but oily feeling in my face. I don't have oily skin, but this cream gave me the feeling of it. I kinda have an allergic reaction to it. My nose became runny. I thought it was because of dust or anything else, but I realized it was the cream after several applications. However, it is simple to use, easy to blend, natural look, and have a small package so it is travel friendly. This is just my personal experience. The cream might have different effect on your skin. But personally, I plan to buy a foundation to get a better coverage and a matte finishing. Maybe from local brand because it might fit my skin tone better. I always remember what Michelle Phan said: invest in beauty products which is put directly on your skin! Baca novel & cerpenku di Storial ya!